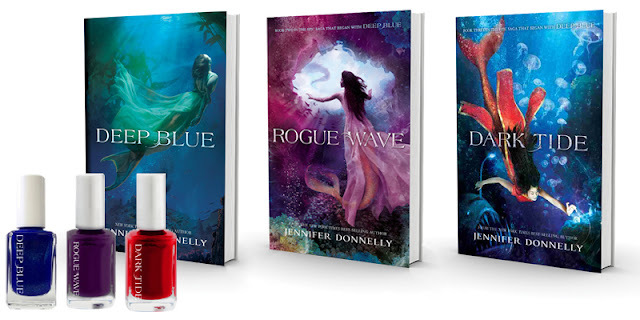 Guys, I love Jennifer Donnelly's novels, so I am excited to share this giveaway with you today. 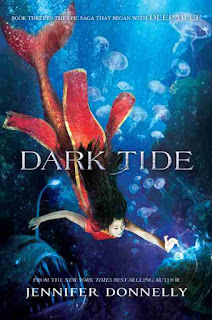 It's for book three in the Waterfire Saga series, Dark Tide, which comes out today and thanks to Disney-Hyperion, one US winner will not only win Dark Tide, but also the other books in the series: Deep Blue and Rogue Wave. So, if you are behind in the series or are new to the series, no worries! Now you can get caught up! Also, the winner will receive corresponding branded nail polish! How fun is that? Deep Blue is the first in a series of four epic tales set in the depths of the ocean, where six mermaids seek to save their hidden world. When Serafina, a mermaid of the Mediterranean Sea, awakens on the morning of her betrothal, her biggest worry should be winning the love of handsome Prince Mahdi. And yet Sera finds herself haunted by strange dreams that foretell the return of an ancient evil. Her dark premonitions are confirmed when an assassin’s arrow poisons Sera’s mother. Now, Serafina must embark on a quest to find the assassin’s master and prevent a war between the Mer nations. 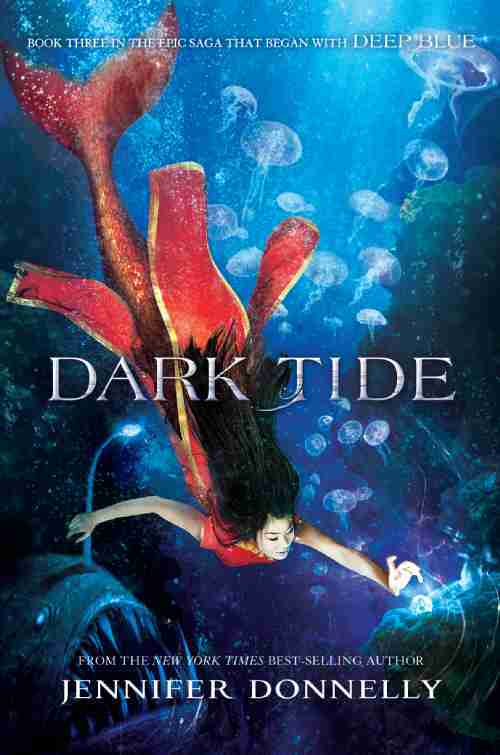 Led only by her shadowy dreams, Sera searches for five other mermaid heroines who are scattered across the six seas. Together, they will form an unbreakable bond of sisterhood and uncover a conspiracy that threatens their world’s very existence. Thanks again to Disney-Hyperion for this great giveaway. Please refer to my giveaway rules. The deadline is October 23rd. Good luck! FUN! What a great giveaway, Christina!